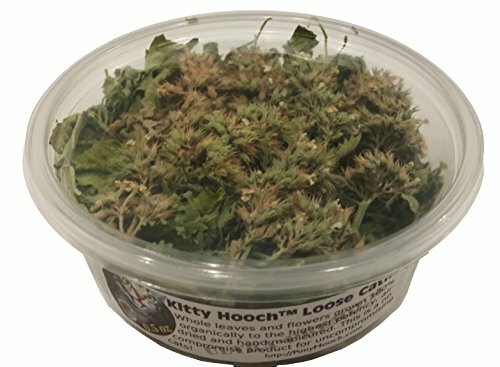 Kitty Hooch, legendary in Portland Oregon since 2001, is now on Amazon. Welcome our whole catnip product “kitty Stash”. Cats respond to the airborne oils, we perceive it as scent. While the industry hypes their ground stalks and dust that used to be leaves the enemy of oil is oxygen. This doesn’t smell like stale Oregano. When you open our product it smells strong, skunky and minty. It’s radically different. 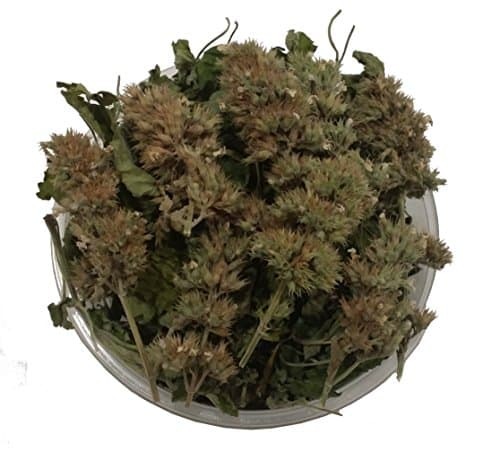 You will see whole leaf and bud that has been carefully hand processed to remain whole. 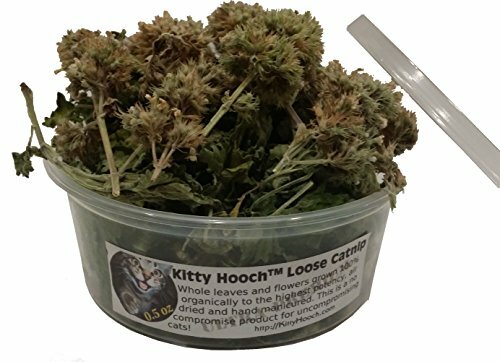 Kitty Hooch grows catnip with one objective, essential oils. 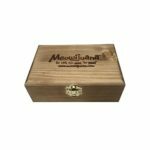 Every step of our process from cultivation to harvest to processing, storage and packaging has the single objective of producing the ultimate product.You will need to hide this in the freezer. The most potent part of the plant is the flowers. If you want nothing but our best, jucieist bud try our Gato Ganja.